PsychicWorld - Which Psychic Is Right For You? 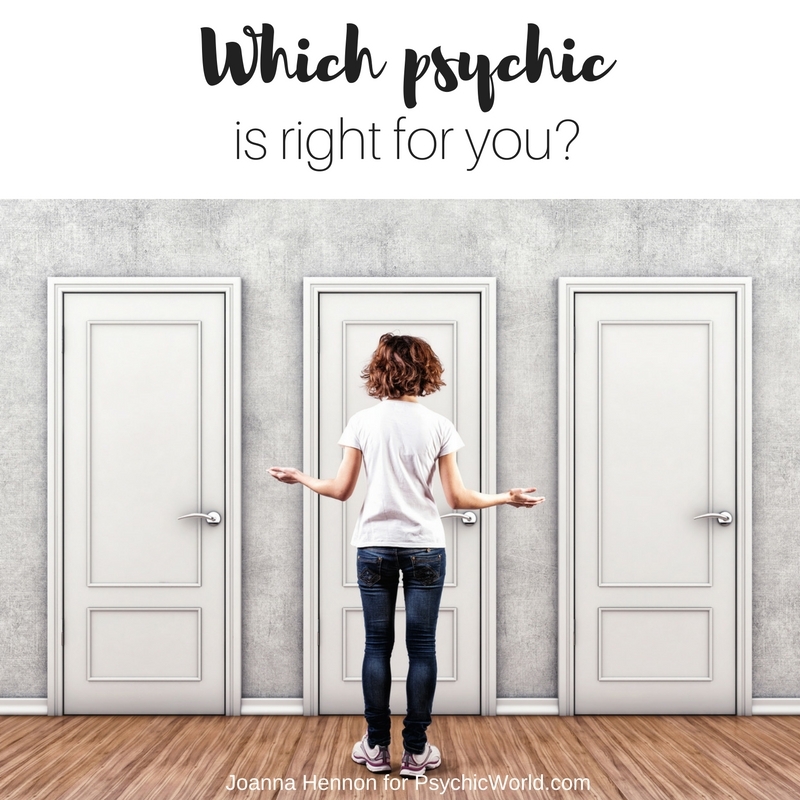 Which Psychic Is Right For You? With the wide variety of different readers, healers, psychics, and coaches out there, how does one go about choosing the RIGHT person to work with? Which psychic is right for you? How to pick the person who can help you best. We live in a world of many choices. A whole aisle of different kinds of cereal to choose from. Hundreds of coaches who could all potentially help you get your life together/make more money/be happier. Netflix. With so many psychics, readers and channels, Psychic World is no different. And whereas it’s really awesome that there are so many talented people who could potentially help you, how do you find that one perfect person who will give you exactly the clarity you need to move forward on your path? We’re conditioned to want instant gratification and when we’re not feeling good, we want answers NOW. Believe me, I’ve been there, on a hotline to the first psychic who crossed my path, desperate for them to tell me what to do (which they can’t do, but that’s a topic for a different post!). When you’re in that space, when you’re desperate for answers, pause, breathe, and allow your self the space to feel what’s right for you and to listen to answers. It is only then that you’ll be able to move on to the next step, below. Oh, and if you’re tempted to make a snap decision about this, remind yourself that it’s your time and your money and you deserve to find the person who can serve you best at this time. Right? This is true for any situation: if you want a certain outcome, ask for it! Close your eyes, take a few deep breaths, and ask for what you want: I desire clarity on my next steps. Who is best able to help me right now? If you work with your Spirit Guides, ask them to guide you to exactly the right person. Ask them to make it easy. Ask them to make it so clear that you can’t miss the signs. How can you see the right person if you don’t know what you’re looking for? It’s like trying to get somewhere without knowing where you want to end up… How will you even know that you’ve arrived? Instead of wandering around aimlessly or randomly choosing anyone who happens to be there, set your intentions for what you want. Yes, you can and yes, your intentions are that powerful. So you’ve calmed down, you’re tuned into your intuition, you’ve asked for what you want, and now what? You’re sitting in front of a whole list of psychics, readers and channels – how do you actually pick one? Follow your joy. That’s your highest enthusiasm, that feeling that lifts your heart and fills you with excitement. Look at the possibilities and follow your heart – which one catches your eye? Which one do you have a good feeling about? Which one looks/sounds like they’d be fun to work with? Which just feels GOOD? Remember: even if your problem feels heavy, the possibility of solution will feel light. This doesn’t mean that the answer will be simple or that following the guidance you’re given will be easy. What it means is that the right person will feel RIGHT to YOU. The last step on our list but probably the most important… Because if you don’t trust your instincts then it’s very difficult to make a choice that feels good. Know that if you take a moment to breathe and connect with your intuition, the choice you make will be exactly right. You are such a powerful being – your inner wisdom can only lead you to what you need to hear right now. Trust in yourself, in your power to feel the right way, and you’ll end up in exactly the right place. And no second-guessing if you don’t like the guidance! J Chances are another reader would give you a very similar message, we’re all tuning into the same energy for our answers! Armed with trust in your intuition and decision-making powers, with an expectation for only the perfect message to come to you, it’s inevitable that you’ll get exactly what you need. Try it and see – what part of this feels difficult? Why? You know the answers, simply allow them the space to bubble up from within you, where your wisdom resides.